Bayern Munich CEO Karl-Heinz Rummenigge is certain star striker Robert Lewandowski will play for the Germans next season amid persistent rumours linking him with Real Madrid. Rummenigge spoke to Bild (via AS) and told fans not to worry: "We are very fortunate to have Lewandowski and even more so that he has signed a long contract with us. There is nothing to worry about, he will play at Bayern Munich next season." Per the report, the Poland international has been hard at work at securing a move away from the club. Bild (h/t Robert Summerscales of MailOnline) have previously reported the Bavarians are looking at alternatives, with Real Madrid said to be eyeing Lewandowski. AS couldn't help but take a dig at the situation, using the header "Se Queda" to announce the comments from Rummenigge. Gerard Pique famously used the same caption on social media last year to assure fans Neymar would stay at Barcelona, shortly before his move to Paris Saint-Germain. Per Laith Yousif of MailOnline, it has become something of a meme since. He's been Bayern's top option in attack since 2014, continuing his dominance of the Bundesliga after a stint with Borussia Dortmund. Lewandowski has won the Bundesliga and DFB Pokal with both clubs, but UEFA Champions League glory has eluded him so far. Real have been linked with the poacher due to the mediocre scoring form of Karim Benzema the last two years, and Los Blancos are expected to address the position in the summer. Lewandowski would make sense as a sign-and-play option at striker, bringing tons of experience with him―he wouldn't need as much time to adapt as a younger option. Bayern have no real incentive to sell due to his long-term contract, however. According to Transfermarkt.com, his current deal won't expire until 2021. Rummenigge has every reason to be confident, but at the same time, his value isn't likely to rise any further and will soon start to drop due to his age. 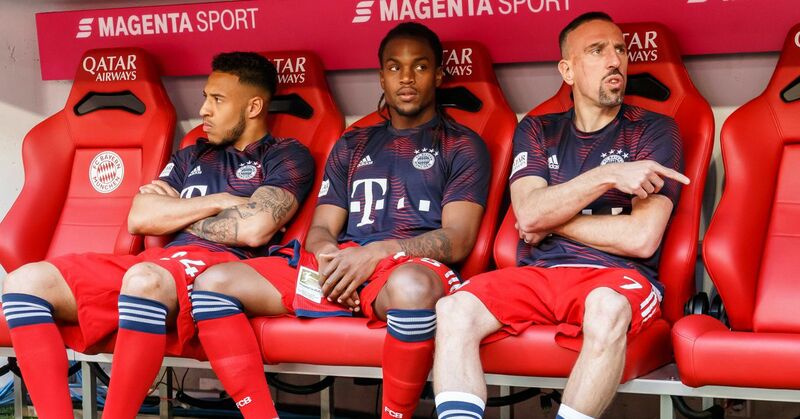 The summer could be the perfect time to cash in, especially if there are any fears the player could disturb the dressing room if he doesn't get what he wants. If Lewandowski is determined to get his move, it might be wiser to cash in now and risk major trouble in the 2018-19 campaign.